The Asia Championship 2016 will be held in Hong Kong on 19 June 2016. 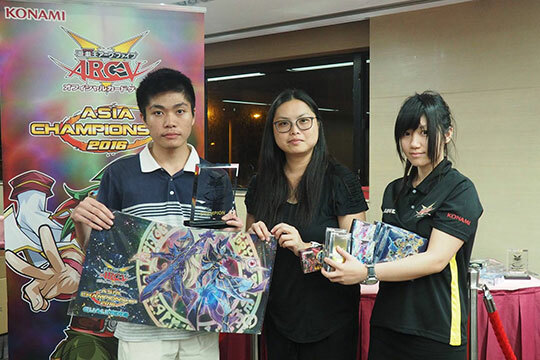 Duelists will battle it out in their qualifiers for the rights to represent their respective region – Hong Kong, Korea, Malaysia, Philippines, Singapore, Taiwan and Thailand – in the Asia Championship 2016. Duelists with the highest points in the Ranking Tournaments 2015 of each region will receive invitation rights to participant in the Asia Championship 2016 as well. 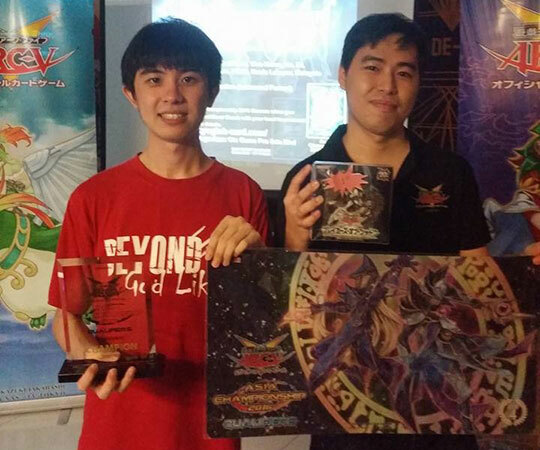 The YOT Hong Kong 2015 and YOT Taiwan 2016 Champions with the respective Asia Premier Champions will also be participating in the Asia Championship 2016. 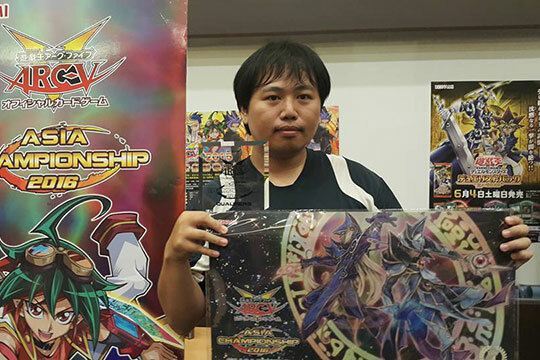 The Asia Championship SP 2015 Champion will be returning for the Asia Championship 2016. 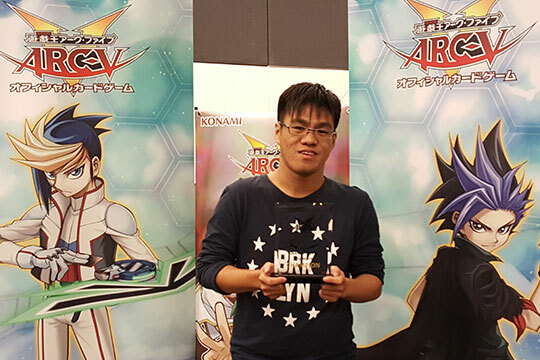 Together, a total of 18 duelists will be invited to the Asia Championship 2016, and they will be playing for the rights to represent Asia in the World Championship 2016. The Philippines Qualifier was held on the 14 – 15 May 2016. A playlist of the quarter-final, semi-final and final matches are available on the YouTube channel – Yu-Gi-Oh! Asia PH. 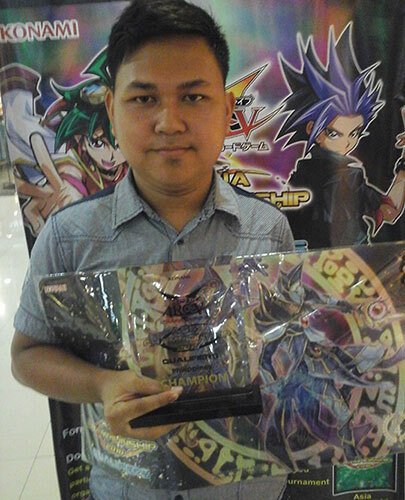 The Philippines Champion, Louren Vidad, is unable to attend the Asia Championship 2016. The invitation has been passed down to the 1st Runner-up, Elvis Agoto “Junjun”. The Singapore Qualifier was held on the 22 May 2016. A playlist of the Ro16, quarter-final, semi-final and final matches are available on the YouTube channel – Sg CardMart. The Taiwan (Traditional Chinese Format) Qualifier was held on the 28 May 2016. The Taiwan (Japanese Format) Qualifier was held on the 29 May 2016. 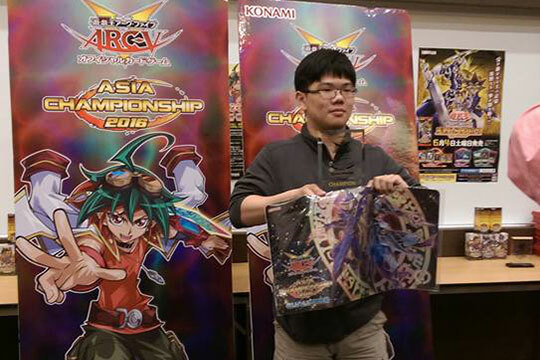 The Taiwan (JP) Champion, Yang Shi-fan, is unable to attend the Asia Championship 2016. The invitation has been passed down to the 1st Runner-up, Huang Nung-en. The Malaysia Qualifier was held on the 29 May 2016. The Thailand Qualifier was held on the 5 June 2016. A video of the final match is available on the Facebook page – Nida Group. The Thailand Champion, Satanantana Rungnuppakunsi, is unable to attend the Asia Championship 2016. The invitation has been passed down to the 1st Runner-up, Weerapun Suebyoubol. The Hong Kong (Japanese Format) Qualifier was held on the 5 June 2016. Both the Champion, Zhang Jia Liang, and 1st Runner-up, Feng Wen Long, are ineligible for the invitation. The invitation has been passed down to the Semi-Finalist, Lai Chi Shing. The Hong Kong (Traditional Chinese Format) Qualifier will be held on the 19 June 2016. Here are the 18 representatives that will be participating in the Asia Championship 2015. 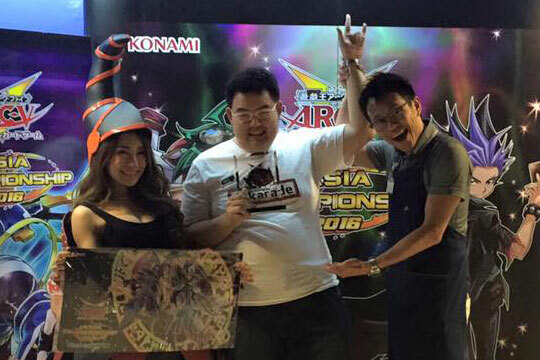 The Champion of the Asia Championship 2015 will earn a spot in the World Championship 2015. The decks listed are what the representatives played during their respective qualifiers, they may choose to play a different deck in the Asia Championship 2015.